A Lucknow bench of the Allahabad High Court in Uttar Pradesh on Wednesday fined three doctors with a penalty of Rs 5,000 each in separate cases from Sitapur, Gonda and Unnao for their illegible handwriting. It is common knowledge that doctors usually don’t have the best handwriting. Maybe it’s due to paucity of time, or perhaps it’s just a matter of habit, but a doctor’s note is generally difficult to comprehend by people not belonging to the medical profession. However, now three doctors from Uttar Pradesh have been fined for their bad handwriting by the Allahabad High Court. A Lucknow bench of the Allahabad High Court on Wednesday fined three doctors with a penalty of Rs 5,000 each in separate cases from Sitapur, Gonda and Unnao for their illegible handwriting. 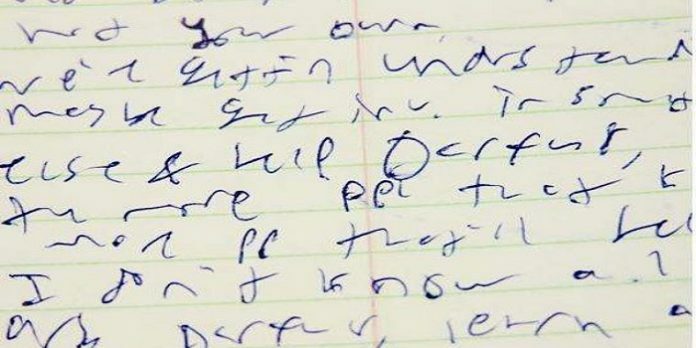 The court was miffed at the doctors because their “poor handwriting” had rendered injury reports of victims in three criminal cases as illegible. The high court bench held the doctors’ illegible notes as “obstruction” in the court work and asked the three doctors – Dr TP Jaiswal of Unnao, Dr PK Goel of Sitapur and Dr Ashish Saxena of Gonda – to appear before the court. The bench, comprising of Justice Ajai Lamba and Justice Sanjay Harkauli, upbraided the three doctors and directed them to deposit Rs 5,000 penalty in the court’s library.